Circulation issues can include general circulation issues including to the brain, which is vital to brain and memory functions. Tjis can often occue gradually over a period of time because of poor or incorrect nutrition. These supplements aim to help. 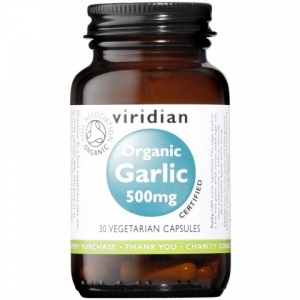 A.Vogel Garlic capsules - Extract of Swiss Garlic oil. 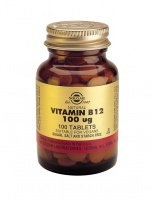 A health supplement to aid the circulatory system and enhance the immune system health. A. Vogel ginkgo biloba is a health supplement for poor circulation, cold hands/& feet, Raynaud's disease, chilblains & prevention of strokes. Protease is thought to help in general healing and recovery by dissolving fibrin and giving your immune system a chance to do its job. Higher Nature Mega Potency Ginkgo - the strongest & most potent Ginkgo. 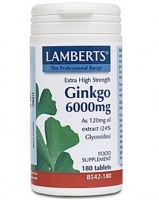 50 times concentrated, 120mg is equivalent to 6000mg of standard Ginkgo leaves. 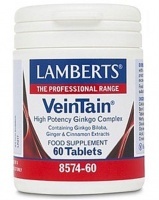 Lamberts VeinTain - a full 6000mg (as 120mg extract) of the peripheral circulatory-boosting herb ginkgo, alongside both cinnamon and ginger. A herbal formulation standardised to provide potent antioxidant support for the cerebrovascular environment. Helps to support healthy cognitive function and eye health. 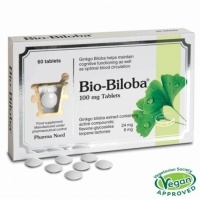 Ginkgo biloba from Pharma Nord is a powerful antioxidant and anti-inflammatory. Of benefit to the heart and circulatory system. Could help support the immune system, heart and circulation.